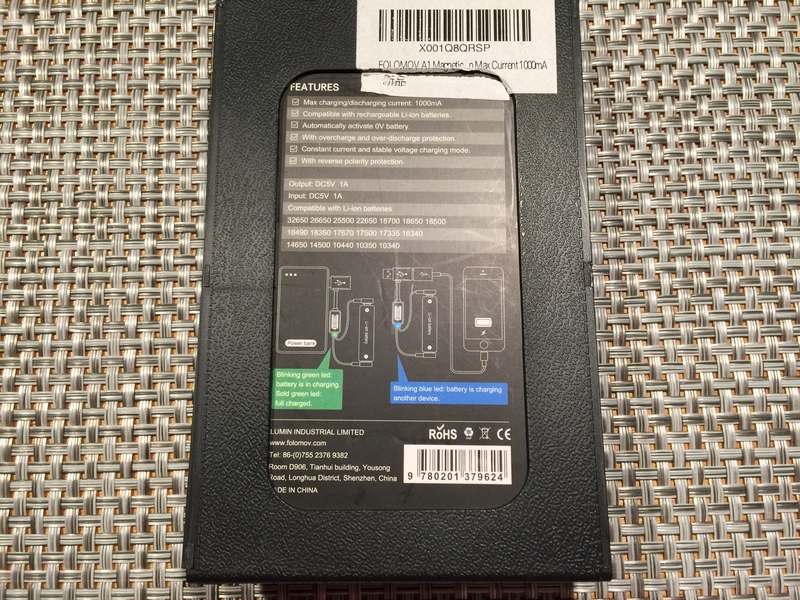 This is a short review of the single battery charger from folomov, this charger acts as a power bank as well with the male/female USB connector. The A1 is a simple and fuss-free Lithium Ion charger with a useful power bank feature. the charger itself is very small, small enough to fit in a pocket and be there when you need to use it as a power bank in an emergency. 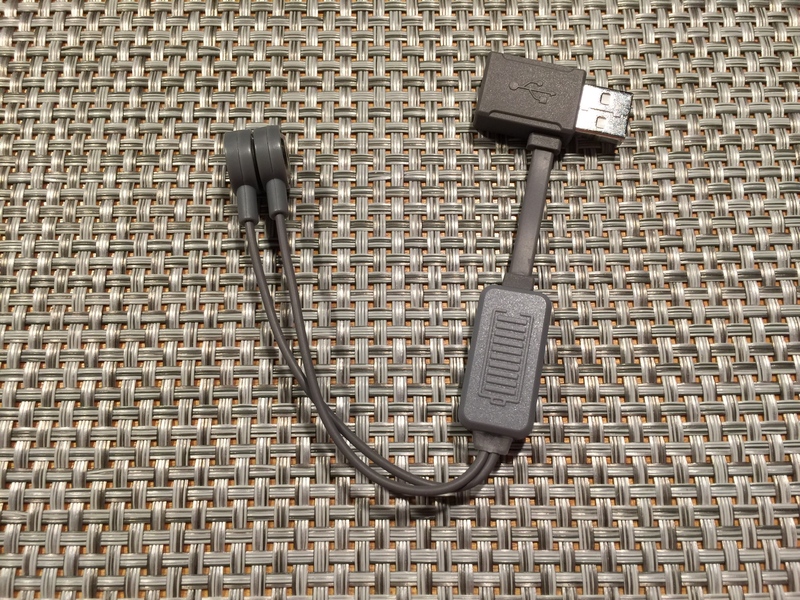 The charger is made of plastic mostly with some rubber coating on the wires. 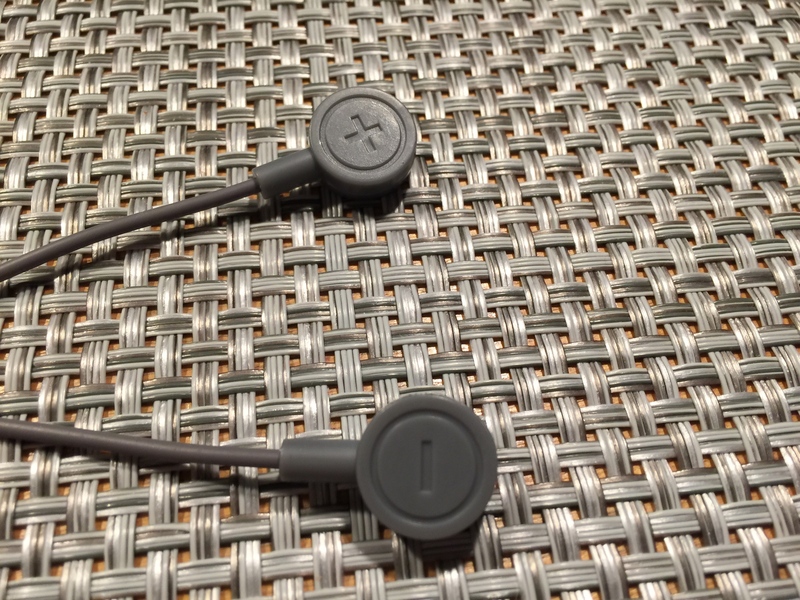 It also has 2 neodymium magnets for the positive and negative leads. 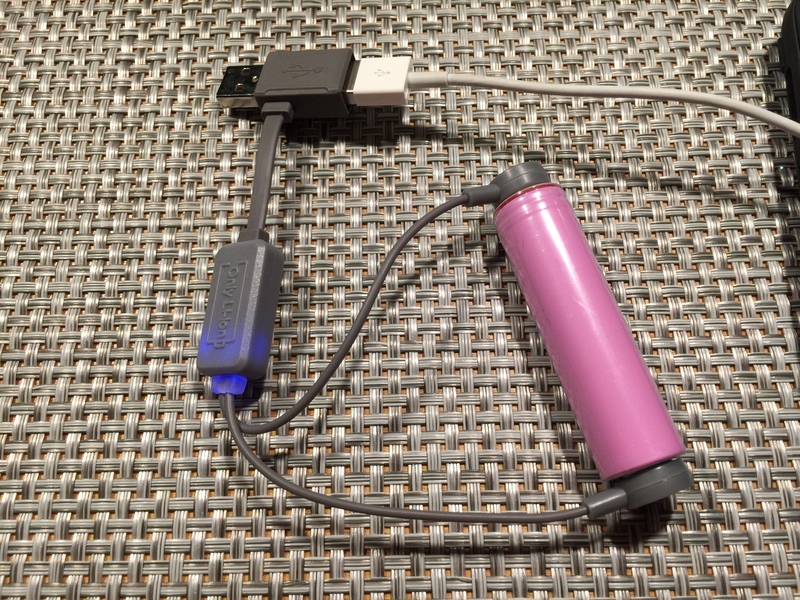 This charger can hold any battery size all the way up to a 32650. 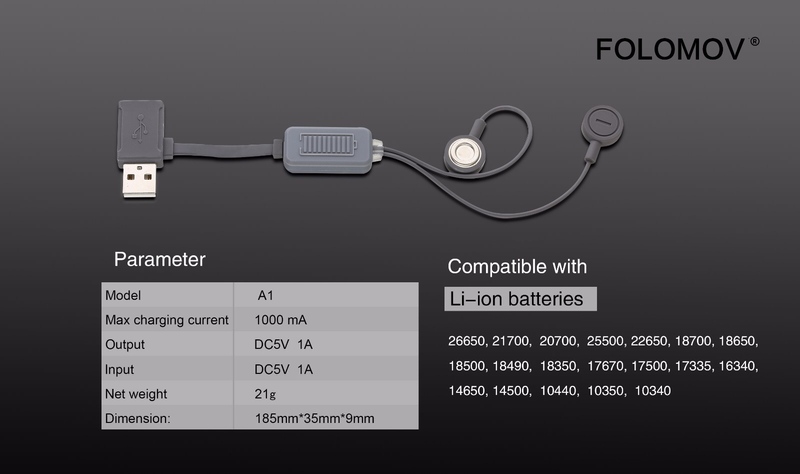 The A1 has a charge mode which charges the battery at 1.0A , there is also a discharge mode which charges a device at 5V 1A. The A1 has a 0V activation feature and over-current & over-discharge protection with a constant current & constant voltage charging algorithm. 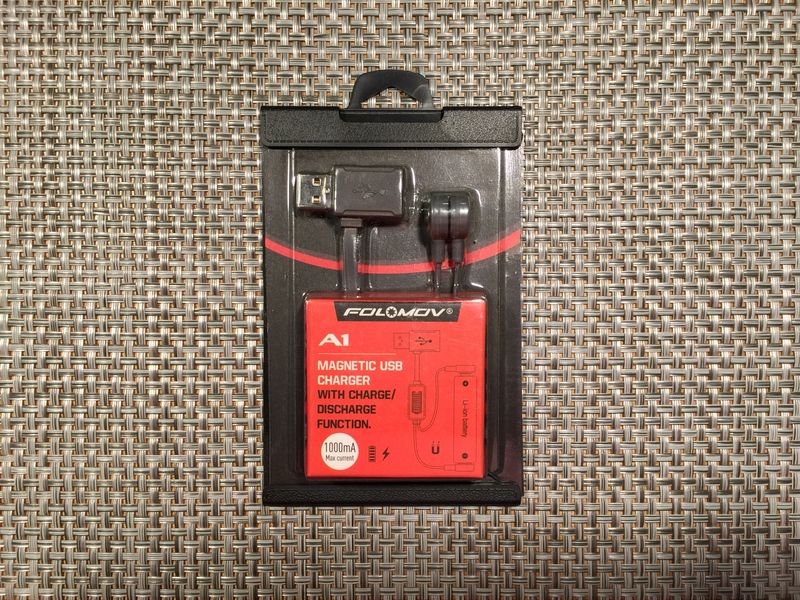 The Folomov A1 magnetic charger is a great charger if you don’t want to pull out a big charger for just 1 battery, it charges fairly quick and does the job well if you need a quick charge. 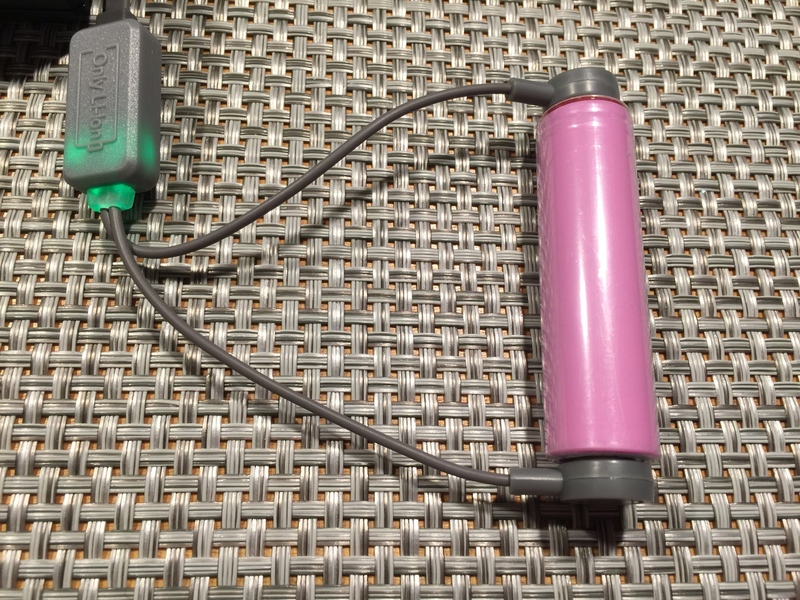 The discharge feature is great if you want to charge a USB device such as a phone and your on the go, you can just pull out your flashlight and use some of the battery to charge up your mobile device. Overall I recommend this product for its usefulness and simplicity and size. Nice, concise review. Looks good and inexpensive. I have the Olight version, (without the power bank function), and they’re also great little chargers. 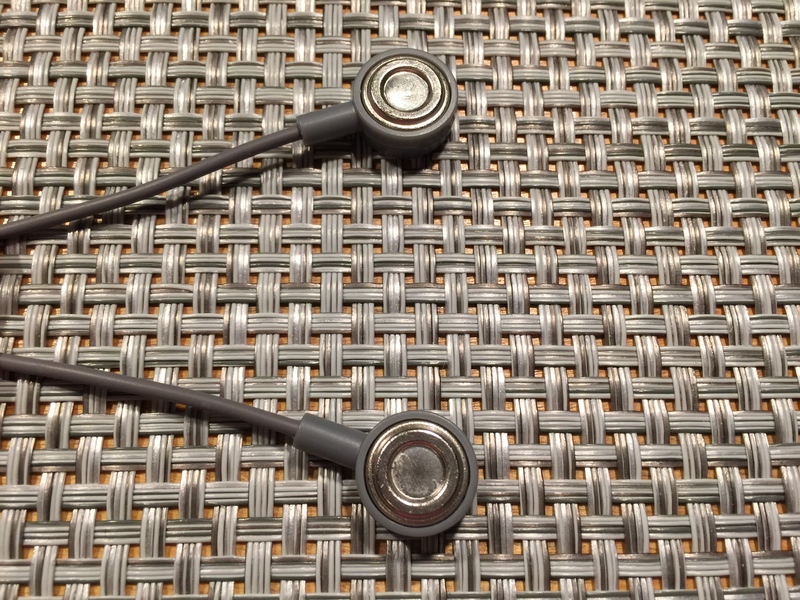 The Olight has the advantage of not having to think about the + – connections. You can hook up the magnets to any end and it automatically detects positive and negative. This is just an amazing product at a great price. 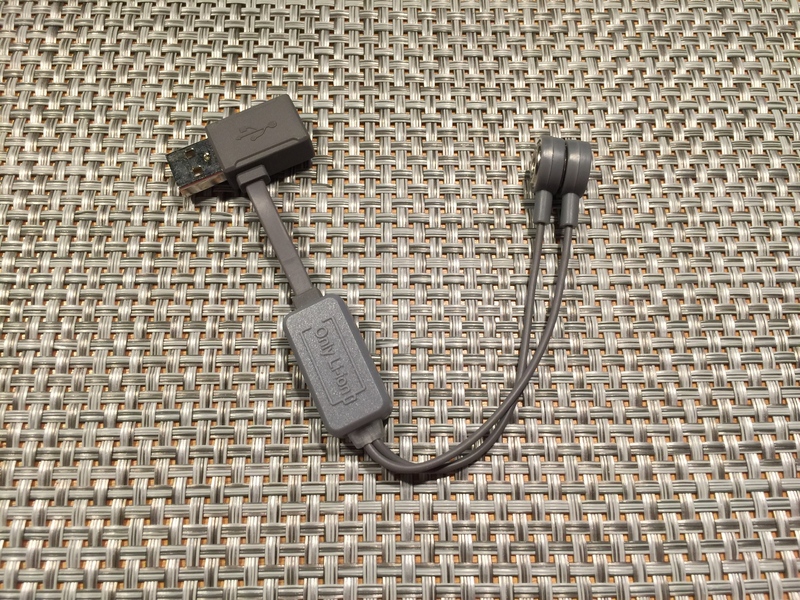 Definitely something for the li-ion light users and so small it can pack anywhere. I keep mine in my car. Yeah that definitely sounds like a good feature I’ll have check that one out! This is just an amazing product at a great price. 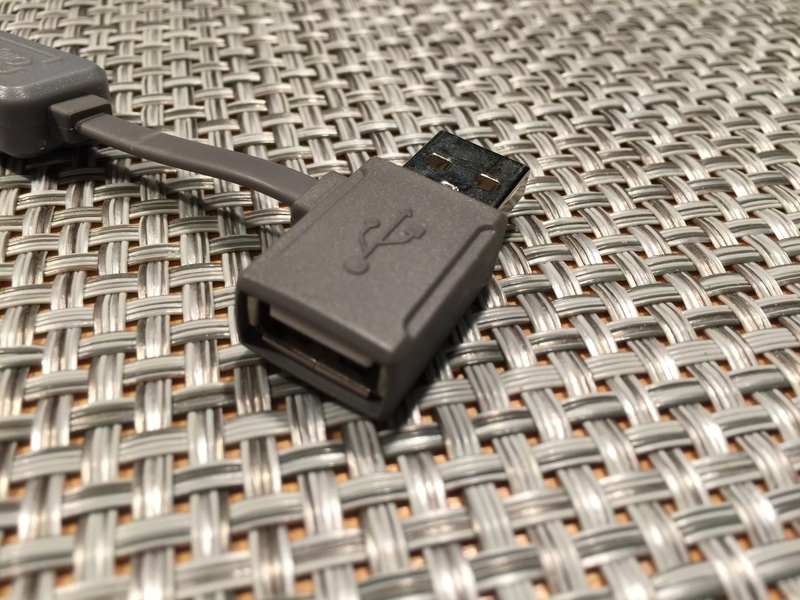 Definitely something for the li-ion light users and so small it can pack anywhere. I keep mine in my car. These look like good stocking stuffers. Now we need a volume deal buy or code or something. Great value at the listed price though and what I need for bug out bag. I notice he has used some tables from my review, without giving any credit. That’s very bad form. Unethical would be the correct term. OOHHHhhhhhhh That’s very bad form. Unethical would be the correct term. I do not mind people using stuff from my review, as long as they add credit/link. OOHHHhhhhhhh That's very bad form. Unethical would be the correct term.